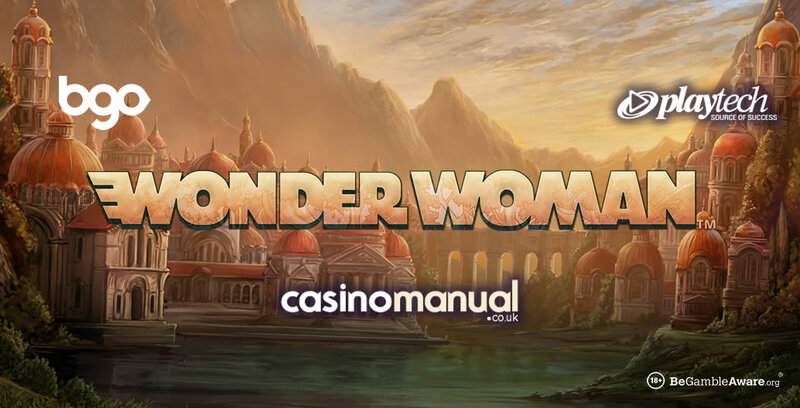 Join Wonder Woman in the fight for control against The Cheetah at bgo Casino – they’ve just released the latest DC Comics video slot. Wonder Woman is powered by Playtech and follows a long line of DC Comics superhero video slots from the industry giant. With 5 reels and 30 paylines, it’s inspired graphically by comic books – it does look rather good I must say. You can spin away from just 15p per spin across all devices including tablets and smartphones (iOS and Android obviously). Set in Paradise Island and with a Greek mythology feel, you’ll come across Ares, The Cheetah and Wonder Woman on the reels. There’s a Stacked Symbols feature with 1 symbol appearing stacked on the reels to help you form winning combinations more easily. The Fire Wild feature shows you a high value symbol and transforms all instances of this symbols into a wild for enhanced winning potential. When Wonder Woman covers both outer reels, the Wonder Woman Respins feature comes into play – with those triggering symbols being locked, respins can add more Wonder Woman symbols – these too become locked. If you fill the reels with Wonder Woman symbol, you’ll pocket 1,000 times your bet! The Cheetah feature is something to look out for – all high value symbols on the 3 middle reels become The Cheetah which will give you the biggest possible wins as it’s the most rewarding symbol. Wonder Woman also benefits from 3 free spins features – they give you stacked symbols on each reels, symbols transforming in the high value The Cheetah and high value symbols becoming wilds for even more payouts. If you fill the reels with wilds, you’ll win 3,750 times your bet! Lastly, you can randomly win 4 progressive jackpots – the one you want is the Grand Jackpot as this currently stands at over £625,000! 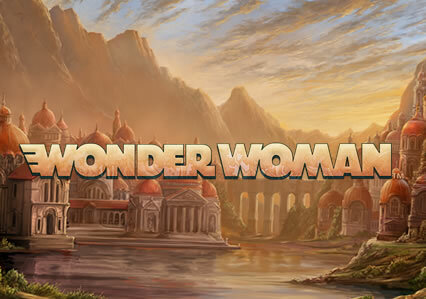 For more info, go to the Wonder Woman video slot review. Well, for starters, they are UK focused and offer you 100s of video slots – with all Playtech games available, they also have titles from Blueprint Gaming, WMS, IGT, Quickspin, iSoftBet, NextGen Gaming and many others. Sign up to begin with 10 wager-free free spins and a generous 100% first deposit bonus up to £200.